If you’d like to chat and learn more about me, my background, and my candidacy for the Green Party nomination, I invite you to join me for a casual drop in get-together. Since it also happens to be the Vernal Equinox, we can also celebrate the start of Spring! The event will be held on Wednesday, March 20th from 7-9 PM in the 10C lobby area facing City Hall. The address is 42 Carden Street. The laws of thermodynamics might be paraphrased as (1) you can’t win, (2) you can’t break even, and (3) you can’t get out of the game. The second law is the frustrating truth that all engineers face. Whenever you change energy from one form to another, you always lose some as heat. Eventually all energy winds up as heat. Some say the universe as a whole will one day end up as one great expanse of uniform heat – the heat death of the universe. A cheerful thought, that. To an engineer, heat is useless. It is loss. It is the price grudgingly paid for getting work done. The lower the price paid, the greater the success. You might say that the mission of the engineer is to squeeze the very most usable work out of a given unit of fuel before it inevitably becomes worthless, unusable heat. In this context, the idea of burning fuel for warmth is absurd – all that fuel being turned into heat, with zero work done. And yet we do it all the time. Guelph’s Community Energy Initiative document of 2007 pegged the annual city-wide consumption of natural gas at 231 million cubic metres. Virtually all of that was (and still is) being burned in boilers or furnaces to create heat – heating our buildings, heating our domestic hot water, even heating for cooling (a feat performed by absorption chillers). If you burn that fuel in an engine – the same kind of internal combustion engine in your car – you get torque and heat. That torque can turn a generator to produce electricity, while the leftover heat can be used for any of the purposes mentioned above. Using the same fuel to provide both electricity and heat is called Combined Heat and Power, or CHP (also called cogeneration). It gets you a second squeal from the pig. Or, viewed another way (see diagram, from building.co.uk), it gives you 260 units of valuable output from 325 units of fuel; conventional methods require 465 units of fuel (43% more) to produce the same output. If you rely on grid electricity and 80% efficient boilers, CHP is an attractive alternative. There are variations on the engine idea. Large-scale CHP uses not gas engines but gas turbines – similar to what you find under the wing of a Boeing 737- to produce energy in the range of megawatts rather than kilowatts. At the other end of the scale, there’s a micro-CHP device called BlueGEN that doesn’t burn the fuel at all, but rather runs it through a ceramic fuel cell to convert it to electricity – enough to supply a typical single-family home, with sufficient leftover heat to satisfy the family’s domestic hot water needs. In areas where the utility grid uses carbon-intensive brown coal for much of its power generation, like the Australian state of Victoria, a product like BlueGEN offers significant savings in carbon emissions compared to grid electricity – a welcome benefit over and above the financial savings. This is partly because coal-fired power plants produce the most carbon of any option on the energy generation menu. It is also because the grid electricity comes with a substantial drag in the form of unusable heat – the coal plants produce steam from high-grade heat, but they can’t use the low-grade heat left over so they discharge it as a waste product. When the fuel is consumed right at the point of use, this waste heat can be put to productive use. Where the grid has a low carbon intensity, like here in Ontario, one might think that household-scale CHP would be a non-starter. It’s true that the average amount of carbon produced per unit of energy is a lot lower than Down Under in the state of Victoria. However, the average is meaningless in this situation. There are several forms of power generation in the Ontario mix – nuclear for base load, followed by hydroelectric, wind (when it’s available), and finally natural gas. These are dispatched consecutively as demand rises, and shut down in the reverse order as demand drops. As demand falls off, the first source to be shut down is natural gas. When a household takes itself off the grid by producing its own electricity, that demand comes right off the top of the generation stack. If you’re going to compare the emissions of a product like BlueGEN, you have to compare its emissions against those of the marginal grid generation source – natural gas. During the period from midnight on January 14th, 2015 to 1:00 PM on January 19th, the average emissions factor for the Ontario grid was 73g of CO2 per kilowatt hour (for current data, click here). However, the marginal emissions factor was seven times that figure: 512g CO2/kWh. By comparison, a BlueGEN unit with waste heat captured for domestic hot water comes in with an emissions factor of 240g CO2/kWh – less than half of the marginal grid emissions intensity. What would happen if all of Guelph adopted CHP? Earlier I mentioned that the 2006 city-wide natural gas consumption was 231 million cubic metres. If CHP units (with the efficiencies shown in the diagram) were used to produce the same amount of heat as our furnaces currently do, it would produce 1,402 GWh of electricity. The entire electricity demand of Guelph as of 2006 was 1,630 GWh. So, if we met our heating requirements with CHP units instead of furnaces, we could meet 86% of our city-wide electricity needs at the same time. We mustn’t forget thermodynamics rule #1 – you can’t win, or rather you can’t get something for nothing. This scenario would double our natural gas consumption. However, even more of that “extra” natural gas – 121 million cubic metres, to be exact – is being burned in a peaker plant anyway to supply our electricity. The reason CHP looks so much better is that peaker plants dissipate their waste heat, rather than getting that all-important second squeal from the pig. Deployed broadly in Guelph, CHP could save 121 million cubic metres of natural gas per year. That corresponds to 228,000 tonnes of carbon, not to mention $23 million in annual cash savings. It would also mean we produce 86% of our electricity right here within the city limits – a big plus for resiliency in an era when freak ice storms can tear down high voltage transmission lines and leave thousands without power, as happened in Quebec in late 1998. Let’s get that pig squealing. In my last post, I discussed the trouble with government incentives that focus on technologies. Alternative vehicle fuels such as compressed natural gas and electricity are the current favourite technologies for a post-carbon transportation era, but there’s another game in town that could prove far more disruptive: driverless cars. When considering driverless cars, the first thing to do is to recognize that they promise to bring about a complete break from the current norm of private car ownership. The real potential of driverless cars lies not in a set of features available to individual car buyers – cruise control on steroids, say – but in the transformation of transportation from product to service. The driver (sorry, pun) for this transformation is economics. The average car spends 95% of its time parked, according to Paul Barter of Reinventing Parking. If such a car were fully utilized, it could replace somewhere between two and 20 conventional cars. A shared driverless car service could offer mobility for at least 50% – and possibly as low as 5% – of the cost of personal car ownership. The savings don’t end there. The end of car ownership also means the end of the line for most parking facilities, and the transformation of the few that endure. For single-family homes, the need for a garage goes away, as does the need for a driveway. For multi-unit residences, parkade structures become redundant and the space becomes liberated for more valuable uses. The same goes for workplaces, retail establishments, and so on. For the minimal periods of time when automated vehicles are not required, parking becomes a first-in-first-out model, situated on the cheapest real estate available – brownfield sites, for example – with cheek-by-jowl spacing since there’s no longer any requirement for people to get in and out. This unlocks a huge amount of high-value real estate currently relegated to low-value use. This same ability to increase awareness of the vehicle’s surroundings by networking with other vehicles, or with sensing technology embedded in the road surface or streetlight poles, would allow much more fluid flow of traffic. It would largely eliminate the start-stop dynamic that is so frustrating to drivers, especially when traffic lights on major arterial routes are poorly sequenced. This simulation video by CityLab illustrates how dramatically different a driverless intersection would perform. The result would be faster trips and better fuel efficiency. The opportunity for platooning mentioned in the previous paragraph (and described in more detail here) offers similar fuel efficiency improvement. Mobility, real estate, and infrastructure savings are all well and good, but a there’s another saving – lives. Car accidents cause over 2,000 deaths and 10,000 serious injuries per year in this country, according to Transport Canada. The major safety topics in this report are dominated by the human factor, also known as the four D’s – drinking, drugs, drowsiness, and distraction – as described by eTrans Systems CEO John Estrada in a recent podcast. The Transport Canada report doesn’t go so far as to connect the causes with the casualty stats, but it’s pretty clear that removing the human from the driving equation would drive down the human cost of driving. This cost includes the hard economic cost of lost productive years from premature death or disablement, the hard cost to the health care system to treat injuries, the hard cost of damage to vehicle and property, and the soft but very real cost of the pain and suffering of survivors. This was the very factor motivating Google’s Sebastian Thrun to search for a better way to get around. The economic force behind this innovation is massive and inescapable – a tsunami, in fact. There will be speed bumps along the road to widespread penetration of this technology, but the question is not if, but when. So what does this mean for energy policy, and for municipal planning in general? With such a revolution around the corner, how can society prepare? How do we avoid making major investments that will be rendered redundant long before they live out what was expected to be their useful lives? Take parking, for example. The City of Guelph is grappling with what to do about this issue in the downtown core. Finding a spot on a busy shopping day is a major pain – nothing compared to what Torontonians face, but a nightmare by Guelph standards. When customers can’t find a place to park while they shop, they won’t shop. They will go to malls and big-box retailers on the city periphery where parking is plentiful, and downtown businesses will suffer. The obvious solution is to dedicate more space to parking. Surface parking is one way. Multilevel parkades make better use of scarce real estate, but at a substantial cost. Finding a way to fund this investment is a challenge. If mass adoption of the driverless car is on the horizon, the logic for investments like this is no longer clear. The problem is pressing and must be solved in the short term, but any solution must be designed with an eye to how it might be re-purposed should technology send it the way of the electric typewriter. That is no easy task, but inaction is not an option. Forward-looking design is the only way to avoid kicking ourselves when a significant societal transformation arrives. There is a precedent. When Toronto’s Bloor Street Viaduct entered service in 1918, designer R.C. Harris had ensured it would be ready to accommodate two-way subway train traffic. The Bloor-Danforth subway began using it a full 48 years later. With a mobility revolution on the horizon, today’s public infrastructure investments will need that same sort of vision. Author AlexPosted on January 7, 2015 April 24, 2018 Categories UncategorizedTags Autonomous vehicles, self-driving carsLeave a comment on Who’s driving this thing? 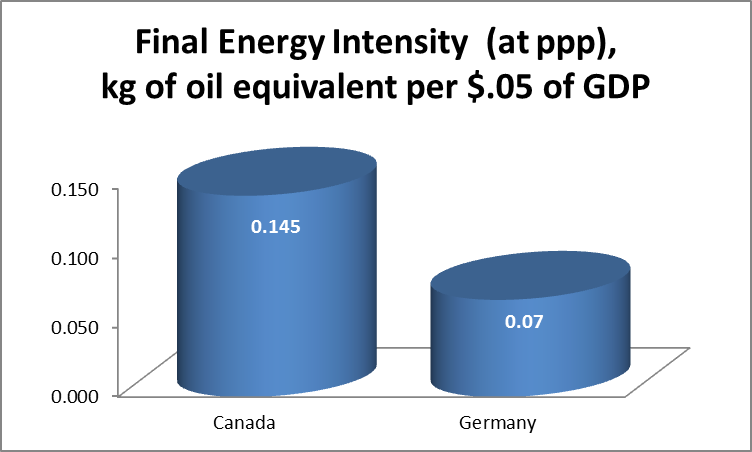 According to the World Energy Council, the average Canadian uses more than twice the energy of the average German. You read that right. Twice. Guelph’s Community Energy Initiative aims to cut per-capita energy consumption by 50% from 2006 levels by 2031. Sounds ambitious, doesn’t it? However, you could rephrase that to say that Guelph is on a journey so that by 2031, it will arrive at the place that Germany occupied two decades before. That sounds a lot less ambitious. As I’ve explained in three of my last four posts (this one, this one, and this one), Guelph is embarking on a program called GEERS – Guelph Energy Efficiency Retrofit Strategy – to ensure that, despite an anticipated 50% increase in population, our overall energy consumption will actually drop from 2006 to 2031. GEERS will start by overhauling our residential buildings, yielding 20-40% decreases in energy use, and move on to the ICI (Industrial, Commercial, and Institutional) building segments after that. GEERS aims to retrofit between 2,000 and 3,000 homes per year between now and 2031. By the end of that time, Guelph will start looking a lot more like Germany as far as building energy efficiency goes. Over 38,000 dwellings will have been touched, and the sustained annual energy savings will be $120 million. That’s a huge boost for an economy the size of Guelph’s. However, that doesn’t even speak to the direct and indirect benefits of the program itself. During the course of the 16 years that the program runs, it will result in over $30 million per year of spending, most of which will stay in the local economy. That’s a total of about half a billion dollars invested in Guelph, all in the name of keeping more energy dollars in the city. The first beneficiary will be construction contractors. Based on what Guelph’s building department has told me about the volume of building permits for renovation work, GEERS could increase the size of this market by a factor of ten. If we assume it takes a team of three labourers one week to complete a retrofit project, the volume I mentioned above will yield somewhere between 120 and 180 full-time labourer jobs. Supervisor jobs will be over and above that amount, probably 30-45 jobs, to say nothing of management and back office positions. Construction contractors will also see a profitability boost, since they won’t need to incur sales and marketing costs to win jobs – they’ll see a steady stream of projects from GEERS just for signing up, as long as they maintain quality standards. They will also see better utilization of human resources and equipment since there won’t be any staff sitting idle waiting for deals to close, giving another profitability fillip. Contractors will also see a boost to their current, non-retrofit business. Homeowners that have been putting off a major renovation will likely decide to jump, once they can get a contractor mobilized to their home for GEERS. Let’s face it – most folks don’t get excited about the prospect of better insulation, weather stripping, furnace, water heater, thermostat, and (to a lesser extent) windows. However, if you already have a contractor on site, you can save big on extending the project scope to include stuff that GEERS won’t cover – granite countertops, new kitchen cabinetry, and a bathroom makeover. GEERS will provide a direct stimulus for work like this. Along the same lines, financial institutions will see benefits. Since GEERS won’t cover this extra work, homeowners will use traditional methods of financing home renovations. This means that the big banks will see more home equity line of credit business. Suppliers will see a boost as well. GEERS will cut deals for bulk pricing, and will likely mandate local warehousing operations to ensure reliable supply of product. Such operations will bring more jobs to Guelph. Some suppliers may even need to set up manufacturing facilities – a Euro-spec window producer is the most likely of these – bringing even more jobs. GEERS will also help out the utilities with their Conservation and Demand Management (also called “Demand-Side Management”) programs, which some prefer to call “negawatts”. Paradoxically, it costs the utilities less to accommodate new demand not by bringing new energy supply online, but by reducing consumption. (More on that voodoo in a future post.) At any rate, the utilities have incentives available for many energy-saving measures, and GEERS will be implementing some of these exact measures. That means more dollars injected into the program, lower costs for the property owner, and a big fat check mark beside utility energy efficiency targets. Contractors, banks, suppliers, and utilities – not coincidentally, the same cast of characters that I spoke about previously in the context of the EcoEnergy for Homes program – should all rejoice when GEERS hits the streets. But wait, there’s more. GEERS may well stimulate the local real estate market as well. If a seller can give their home a boost in value which is effectively free, why wouldn’t they? We may even see people making a habit of buying a home, doing a GEERS retrofit and other quick face-lift measures, and flipping it again for a tidy profit. The market may take some time to adjust to the idea of the extra ongoing cost of the LIC, but soon it will become as pervasive as water heater rental. Prevailing wisdom is that being green comes only at a significant cost, either in dollars, lifestyle, or comfort. GEERS gives the lie to that idea. It will deliver a stronger economy by cutting the flow of dollars bleeding out of the city to pay for imported energy, and it will deliver a stronger economy by creating well-paying, long-term employment for the energy efficiency industry. It will also take a big bite out of our collective greenhouse gas emissions. The best of all possible worlds. Three weeks ago I ranted (politely, I think) about past residential energy efficiency retrofit programs, namely Canada’s EcoEnergy for Homes program. After a one-week tangent celebrating an economic development win for Guelph’s Community Energy Initiative, I came back last week with a post about how the Guelph Energy Efficiency Retrofit Strategy (GEERS) will remove an economic barrier to home energy upgrade projects. This week, I’ll explain how GEERS promises to deliver that oh-so-treasured but oh-so-elusive quality, simplicity. To recap and summarize my rant about the complexity of EcoEnergy for Homes, if this had been a product, it would have been a Windows PC. GEERS, on the other hand, promises to deliver a Mac. I’m not gonna lie. I hate PCs. It wasn’t always so – I used to scoff when my mother extolled the latest in the long stream of Apple computer products she used for her graphic design business. Clearly the WinTel duopoly was superior, since it dominated the business world in general. Macs were reserved for artsy types like musicians and, well, graphic designers. I didn’t consider the many hours of productivity I had lost wrestling with hideously complicated settings – ever delved into editing autoexec.bat or config.sys? – chasing down and installing obscure drivers, and expunging the latest in an endless stream of malware. I didn’t know any better so I assumed that was just the way things were. Not quite four years ago I had a conversion experience. My girlfriend (now my wife) succeeded where my mother had failed, convincing me that Apple computers were a better choice. Having spent some time on her iMac, I had to admit there were advantages. Changing settings was a breeze. Programs and peripherals installed and configured themselves with ease. And nary a virus in sight. Ere long, I had seen the light. I had become a Mac person. EcoEnergy for Homes was a Windows product in Mac user’s world. If you decided to take part in the program, you would find yourself having to deal with five different and, for the most part, hitherto unknown parties: banker, energy auditor, contractor, equipment and materials vendors, and utilities. It was impossible to know if you were getting a good deal, since the pricing was unfamiliar to nearly everyone. There was no fun factor – how much enjoyment do you get out of joist pocket insulation? Some people enjoy the idea of managing a contractor, and maybe one day I’ll actually meet such a person. And I’ve never met anyone that enjoys the uncertainty inherent in phrases like “please allow 6-12 weeks for delivery”. The whole process felt a bit like installing a piece of Windows software. 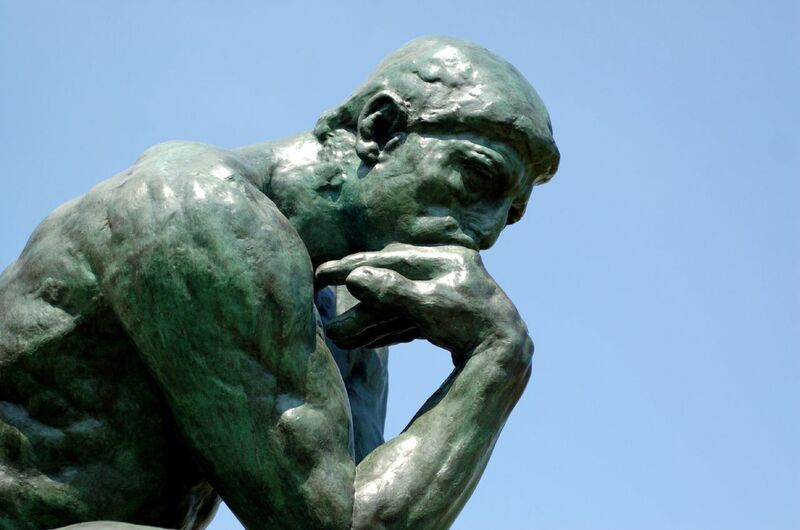 How long did I spend researching alternatives, without even really knowing what I needed? How many hours had I spent staring at that maddening progress bar, wondering if the next few pixels would take ten seconds or ten hours? And when the install was complete, how many times did I discover that what I installed wasn’t at all what I expected or wanted? Similarly, after the contractor’s work was finished, the energy auditor performed the second blower door test, and then I waited. And waited. I began to despair of ever receiving my incentive cheque. Finally it arrived, and it was less than I expected. Close, but still less. Much like life with Windows, it doesn’t seem like the program designers had spent much time thinking about the user experience. We plan to make the GEERS experience different. First, we plan to provide a single point of contact – an actual human being. This person will explain the program to you, handle your registration, and follow up as you make your way through the process. At some point there will be a hand-off to a project lead, but that transition will be clearly explained and transparent. You will be able to participate in the program without getting into the messy details of dealing with a multitude of different parties. Second, the product and pricing will be simple. In many cases, there will be a single package of retrofit items including insulation, weather-stripping, windows, furnace, water heater, and comfort controls (i.e. a programmable thermostat). You won’t need to spend a lot of time getting to know the entire offering, unless you choose to. If you’ve already implemented a particular measure you’ll be credited for that item, but we expect most customers will end up with the standard basic package. Pricing will be based on the type of home (e.g. 1975-era single-family house vs. historical semi-detached) and the square footage. Period. Third, you will be able to choose from some cool options. Rooftop solar, be it PV or thermal (or both), will be one. Another will be a charger for an electric vehicle. A third will be a rainwater harvesting system. Others will be re-roofing, a ground-source heat pump, micro-CHP, and more. Fourth, the project will be simple. The installation will be a black box. Someone else will handle everything – you as the homeowner won’t need to get involved if you don’t want to. With GEERS, you won’t have to become an expert on home energy retrofits, energy-efficient products, and managing a contractor in the same way that if you own a Mac, you don’t have to become an expert in configuring, administering, and troubleshooting a computer. It just works. Fifth, payment will be simple. There will be no extra bill to pay. The cost of the project will translate into a Local Improvement Charge (see last week’s post for more about that), which is just an additional line item on your property tax bill. Presumably you were planning to pay that anyway, since nasty things happen if you don’t. Also, the price is expressed directly as an annual or monthly cost (depending on which payment schedule you use). It’s easy to match that up with your income, and therefore your budget. GEERS will be all about stripping away the complexity that drove people away from previous programs. Next week I’ll talk about the way we expect GEERS will take shape, and the benefits it will bring to Guelph. In my post of two weeks ago, I described some of the issues with past residential energy efficiency incentive programs, particularly EcoEnergy for Homes. I promised more info about a program Guelph is devising to address those issues. After a one-week delay to trumpet a good news story (and after resisting the temptation to devote this week’s post to celebrating recent accolades from the Toronto Star), here are the goods on GEERS – Guelph Energy Effficiency Retrofit Strategy. Nearly a year ago, we commissioned Garforth International Inc. to create a plan to tackle the problem of energy efficiency in Guelph. This plan would rethink past incentive programs and create an entity that would address their shortcomings. The plan would be tied directly into the targets for residential energy efficiency that were set in the Community Energy Initiative. That plan is now complete and we’re working through the process of implementing it. The two key issues with EcoEnergy for Homes were economics and complexity, so today I’ll look at how GEERS will address the first of these. Homeowners are reluctant to invest in energy efficiency because the payback period may be longer than the length of time they expect to stay in the house. The first of the two houses I retrofitted under EcoEnergy for Homes had a project payback of eight years. Had I known that I would be moving out of there in a few short years, I wouldn’t have gone ahead with the project. When I sold the place, I had to pay off the home equity line of credit I’d used to pay for the project. I have no idea what the value of the house would have been absent the retrofit, but my best guess is that I wound up short a few thousand dollars. GEERS will likely take advantage of a financing mechanism called Local Improvement Charges (LICs). This tool has been used to facilitate a user-pay model for municipal infrastructure. If a street requires new pavement, water mains, and sewers, LICs can be used to have the property owners on that street pay for the project, rather than every citizen in the entire municipality. I moved into a new house back in ’99, and shortly afterwards my street was torn up, new water mains were installed, new sewers went in, and new asphalt and sidewalks were laid down. My next property tax bill had a new line item: A Local Improvement Charge to cover the cost of these improvements. At that time, LICs were mandatory, and could only be applied to traditional municipal infrastructure. The scope of LICs changed in 2012, allowing them to be used on a voluntary basis for energy projects. A property owner could, if the municipality permitted LICs for this purpose, request permission to undertake an energy project – a major energy efficiency retrofit including insulation, triple-glazed windows, and a high-efficiency furnace, say – and pay for it on their tax bill. The amortization period would be matched to the usable life of the asset, so twenty years or so. The interest rate would be somewhere around what the municipality pays for debt. That’s a way better deal than you would get on a home equity line of credit. Also, in the case of energy efficiency retrofits, the payments match up much more nicely with the savings on utility bills. Another advantage for the LIC – and probably the post important one – is that the financing is attached not to the property owner, but the property. The significance of this may not be evident at first, but it becomes clear when you think of what happens when the property is sold. With traditional bank financing, like my home equity line of credit, the debt must be completely repaid when the property changes hands. With the LIC, the financing is transferred automatically to the new owner when the property tax roll is updated to reflect the new ownership. This completely changes the decision process for the property owner, Now, I no longer have to worry about whether the retrofit project will pay for itself before I choose to pull up stakes. I complete my project in year one, the savings on my energy bills start right away, as does the charge on my tax bill. If everything works out properly, the savings are bigger than the LIC payment and I wind up ahead – all without paying anything out of my own pocket. I don’t have anything to do with the initial sticker price of the retrofit project, so payback period no longer means anything to me. I get a more comfortable home, a more valuable home, lower utility bills, all for a modest ongoing charge on my property tax bill. Here’s the kicker. The LIC is fixed – it will never increase. However, my savings stream will grow over time since energy costs are rising – faster than inflation. That means that every year, my project – I hesitate to call it an investment, since I didn’t actually invest any money – is worth more. If you look at page 18 of Ontario’s Long Term Energy Plan, you’ll see that the average monthly household electricity bill will rise by nearly two thirds, from $137 to $210, over the 18-year period from 2014 to 2032. And that’s just electricity – we haven’t even talked about the savings on natural gas bills. The value of the project just keeps going up and up. LICs have their detractors. Mortgage providers have expressed concern over the fact that they represent a senior debt obligation, meaning that a homeowner in financial trouble would have to pay off the LIC before tackling the mortgage. That is true. However, the LIC reduces household energy costs and so actually reduces the risk of the mortgage, since the homeowner now has lower utility bills. That means that every year, the homeowner has more money, not less, in their pocket than their less forward-thinking neighbour that decided to give the LIC retrofit project a miss. More money makes them less likely to run into financial trouble, so they’re a better credit risk with each passing year. Mortgage lenders should cheer, not jeer. Next week I’ll delve into the way GEERS will make the energy retrofit process much simpler. Stay tuned. Brighter Tomorrow Blog at WordPress.com.